Large print of John James Audubon's ''386 White Heron'', with image measuring 36.75'' x 24.75'' and sheet measuring 39.5'' x 26.5''. 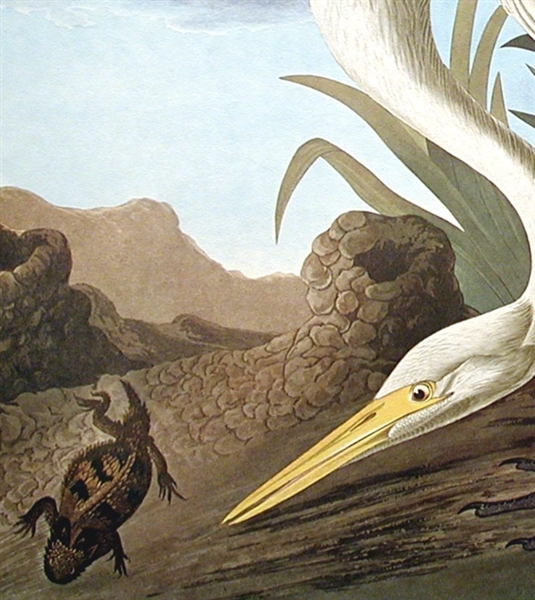 From the 1971 Amsterdam publication by Theatrum Orbis Terrarum Ltd., in conjunction with the Johnson Reprint Corporation of New York, Havell edition of ''Birds of America''. 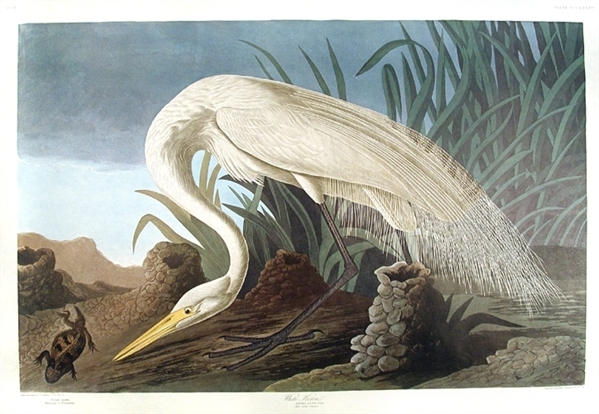 A handsome illustration of a white heron, craning head down in an ''S''-shape configuration, dominates the image, set against a stylized nature setting awash in vibrant blues, greens, and browns. Slight chipping to edges, otherwise near fine.